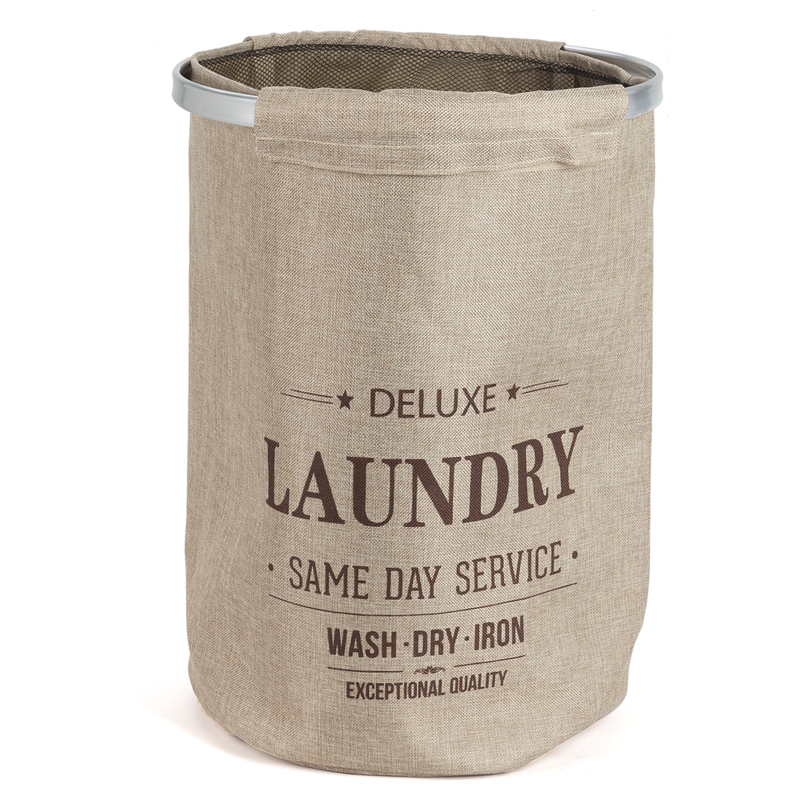 When it comes to that essential symbol of good housekeeping – the laundry hamper, it should be as unobtrusive as possible and fold up for easy storage. The Capri Round Laundry Hamper folds up flat but it’s neutral, stone coloured fabric body means that it blends in well with any setting. It also has a fun, retro feel with the words of an old fashioned laundry advertisement printed on the front. This round hamper with mesh closure and alloy trim has stability supports so you're clothes will remain secure inside - because the last thing you need to be confronted by is a stack of washing on the ground. Fun, retro feel laundry hamper. Stone coloured fabric blends into any setting. Fabric lining to protect your clothes. Alloy rim allows for easy access. Dimensions: 56cm (l) x 53cm (h).